LONDON (Reuters) - Wearing his army fatigues while on tour in Afghanistan in 2013 thousands of miles from home, Britain's Prince Harry cut a relaxed figure as he told journalists: "I am one of the guys, I don't get treated any differently." "I can't see this child being raised in any other way than pretty traditionally and with a great dollop of privilege," said Robert Jobson, author of "Prince Charles at 70: Our Future King". "In reality, they can do normal within the royal confines," said Claudia Joseph, author of "How to Dress Like A Princess". "We've seen that William and Kate have brought up George, Charlotte and Louis out of the public eye and both William and Harry were left alone to a certain extent until they left university." 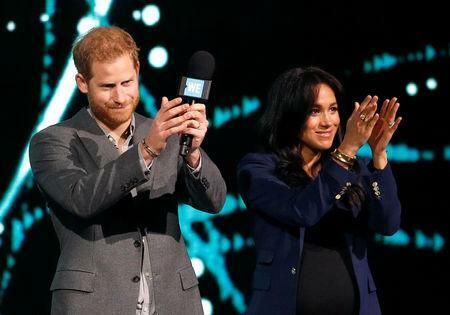 Royal author Jobson said whatever Harry and Meghan's aims, it will be almost impossible for their child to completely escape his or her background.